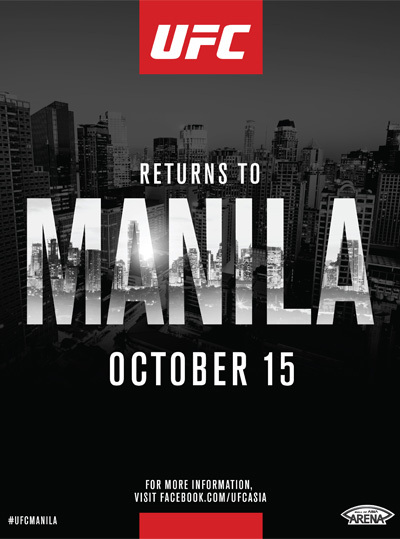 Thrilled with the warm reception they received during UFC Fight Night 66 May of last year, the Ultimate Fighting Championship has just announced that they will be returning to the Philippines for another event on October 15, at the SM Mall of Asia Arena in Pasay City. No bouts have been announced yet but our friends from UFC are looking to exceed last year’s show, which featured a main event slugfest between featherweight veterans Frankie Edgar and Urijah Faber. UFC Fight Night 66 also saw the final match of “The Filipino Wrecking Machine” Mark Muñoz, who picked up a dramatic victory over Luke Barnatt in front of the raucous home crowd. “Manila is a fighting city and we hope to put on another unforgettable show that will capture the hearts of Filipino sports fans throughout the country,” he added. 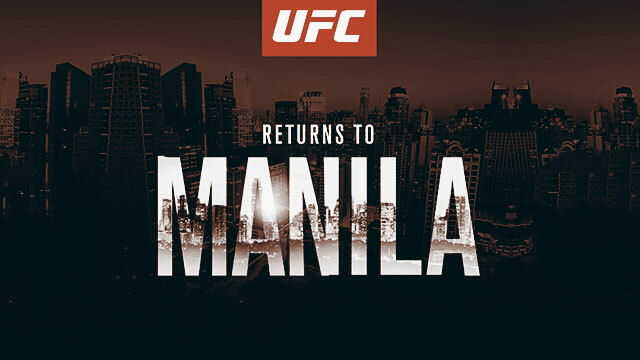 For updates on the upcoming event, visit www.ufc.com/manila or facebook.com/ufcasia.